Intelligent children may be more likely to be vegetarian as adults, suggests a University of Southampton-led study published online by the British Medical Journal today. The study led by Dr Catharine Gale of the University's MRC Epidemiology Resource Centre looked to see why people with higher IQs appeared to be less likely to suffer from heart disease. "We examined the records of 8179 men and women aged 30 years, whose IQ had been tested at the age of ten. Twenty years on, 366 (4.5 per cent) of participants said they were vegetarian. Of these, 9 (2.5 per cent) were vegan and 123 (33.6 per cent) stated they were vegetarian but reported eating fish or chicken," says Dr Gale. "Those who were vegetarian by the age of 30 had scored five IQ points above average at the age of ten. This can be partly accounted for by better education and higher occupational social class, but it remained statistically significant after adjusting for these factors." "One explanation for the link between higher IQ and vegetarianism may be that brighter children grow up to think more about what they eat, which in some cases has led them to become vegetarians," continues Dr Gale. Professor Ian Deary from the University of Edinburgh, one of the study's co-authors, adds: "As the only member of the research team who has never been a vegetarian I feel bound to emphasise that the link we have found might not be causal. Becoming vegetarian might be one of a number of more or less arbitrary cultural choices that clever people make, some of which might be beneficial to health, and some not." Vegetarians were also more likely to be female, to be of higher occupational social class and to have higher academic or vocational qualifications than non-vegetarians, although these differences were not reflected in their annual income, which was similar to that of non-vegetarians. 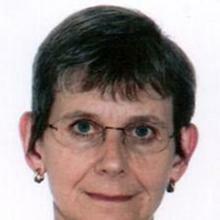 Professor Catharine Gale is Professor of Cognitive Epidemiology in the Faculty of Medicine at the University of Southampton.